This is a follow-up to the last post on the San Diego Commuter Air Terminal. I incorrectly stated that the info about the commuter terminal is current but it turned out that its already closed and flights have been transferred to the main terminal. Thanks to a comment from one of my readers who pointed that out! Anyhow, from San Diego, our SkyWest plane landed at LAX and taxied to Terminal 8. 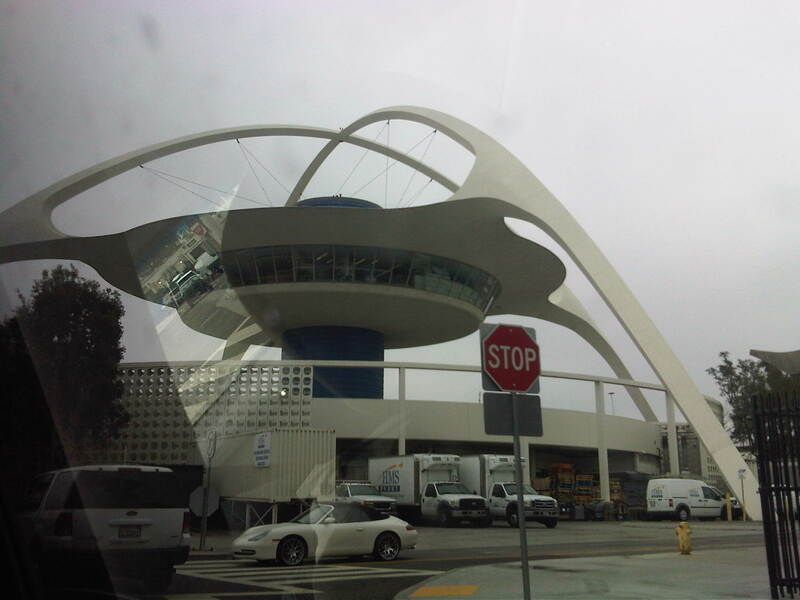 I took the following photos at LAX upon arrival from San Diego. Instead of a bridge or stairs, the airport was equipped with these combinations of covered stairs and walkways to the terminal building. These seem to be especially fabricated for small aircraft and allowed for passengers to walk between aircraft and terminal for all weather conditions. Inside Terminal 8 are passengers waiting for their boarding calls. I was able to get a photo of an American Eagle airlines plane docked at one of the contraptions for enplaning/ deplaning passengers. Buses wait their turns to drop-off and/or pick-up passengers at Terminal 4. While waiting for our turn to alight from our bus, I took this photo of an American Airliner being serviced for luggage/freight. Information on arrivals served by a particular carousel are displayed on an LED screen. There is also information on the weather. 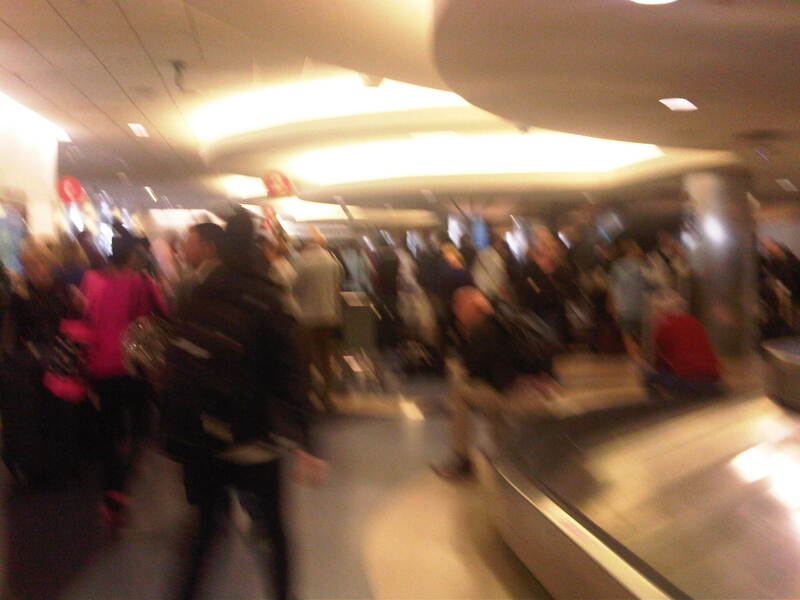 Passengers crowd around carousel 3 while waiting for their luggage to come out. Parking shuttle and other airport shuttle buses passing through Terminal 4. 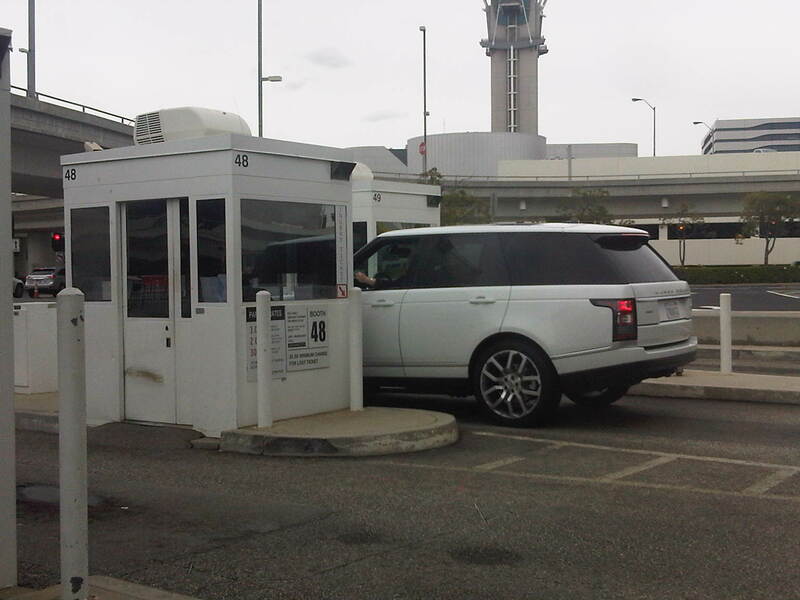 There are vast parking lots located some distance away from the airport terminals that are used by travellers parking for long periods (i.e., park and fly for vacations or business trips). By d0ctrine in Airports on July 2, 2015 .